Annual reports summarizing sustainability initiatives at UofL are produced at the end of each fiscal year. The UofL Sustainability Council FY 2017-2018 Report highlights progress in sustainability across the university from July 2017 through June 2018. Download the full report here. UofL received certification as a Silver-level Bicycle Friendly University 2017-2021 from the League of American Bicyclists. UofL ranked #51 in Sierra Club's 2017 Cool Schools list, highest in Kentucky. UofL featured in the 2017 Princeton Review Guide to 375 Green Colleges, with a Green Rating of 93 out of 99. Achieved Tree Campus USA status from the Arbor Day Foundation for the 8th year running. 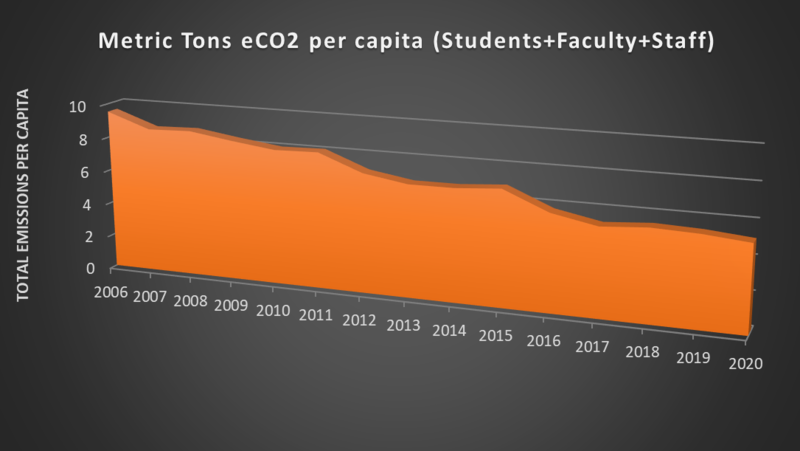 UofL's 2017 Greenhouse Gas Emissions Report documented emissions increased 11% in 2017. Committee on Investor Responsibility launched Student Sustainability Fund & Philanthropy Program. UofL graduated very first Interdisciplinary Masters in Sustainability degree recipient, Betsy Ruhe. UofL adopted a new Life Cycle Cost Analysis policy as reflected in all RFPs. Our first benchmark Greenhouse Gas Emissions Baseline Inventory (2006-2008) (released in September 2009). On September 15, 2010, UofL released its Climate Action Plan, a comprehensive roadmap for achieving this goal. A summary of the Plan and a link to the full document can be found here. The Sustainability Council coordinates UofL's Climate Action Planning as well as the reporting of our greenhouse gas emissions. 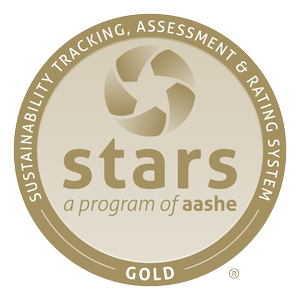 On February 13, 2016, UofL reached a major milestone in our on-going efforts to advance sustainability by achieving a STARS Gold rating (65.19%) in the Sustainability Tracking, Assessment & Rating System developed by AASHE (the Association for the Advancement of Sustainability in Higher Education). This is the primary tool used by the Sustainability Council to measure our progress..
On February 6, 2013, UofL achieved a STARS Silver rating (58.29%). On January 24, 2011, UofL achieved its first STARS rating: STARS Silver (50.11%). Check out Annual Reports from the Kentucky Pollution Prevention Center at UofL.